Fero already have a number of smartphones in the low budget category and in their Power series of smartphones. The latest addition to this series is the Fero Power 3, which like its predecessors comes with ample battery capacity. It also has an improved spec sheet compared to others in its series. However, the Fero Power 3 still maintains some level of similarity to the previous smartphones in the series. The specs featured here is still basic despite the improvement made to the smartphone. Jumia Mobile Week Flash Sale: Jumia will be offering flash sale of the Fero Power 3 at 9 am today. The Fero Power 3 will be sold for 17,990 Naira, which is a good deal compared to the usual 25,000 Naira. For more deals, Click Here. The Fero Power 3 is a good looking smartphone with nice aesthetics. Aside that it also have a plastic build like most low budget smartphones. What you have here is a smartphone made from polycarbonate material with a generic design and a portable build. Even at that, it is quite thick and features much bezels compared to more premium smartphones recently made. As indicated earlier, the smartphone has a rather small screen by today’s standard and a somewhat low resolution display. Being a low budget smartphone that it is. This is quite common in this category in this category, hence the low price. That being said the smartphone has a 5.0-inch 1280 X 720 pixels display. 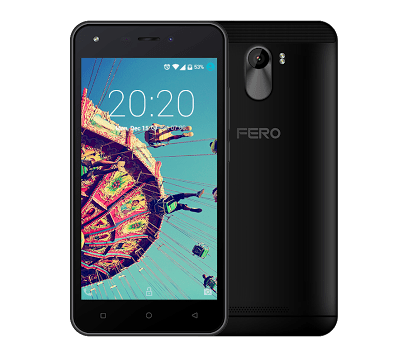 The Fero Power 3 smartphone is not really a smartphone you’d want to use for taking pictures that much. Although pictures taken in full light is okay, same cannot be said for low light pictures. The smartphone comes with a 8MP rear camera alongside a dual LED flash and a 5MP front camera. For budget smartphones like this, the hardware usually is a low a grade one. In that vein what we have here is a Quad-Core MediaTek MT6580A processor running at 1.3GHz coupled with a ARM Mali GPU. In addition, the Fero Power 3 has 1GB internal memory and an 8GB built-in storage, a fraction of which have been occupied by the system’s software. There’s an expansion limit of 32GB using a MicroSD card and an Android 7.0 Nougat OS. The Fero Power 3 is available for sale in various online stores and retail outlets around in Nigeria and across Africa. Fero Power 3 price in Nigeria goes for around 25, 000 Naira depending on the location and the deal.